D.O.D has had a huge year as both a DJ & producer, down to his originality, forward-thinking vision and dedication to music. He's been developing the 'Future Jack' genre, which has taken off over the last twelve months with tracks like 'Sixes' & 'Satisfy' and releases on labels like Spinnin, Fly Eye, Mad Decent, Axtone and Sise. He's had support from Diplo, Axwell and Steve Angello and long list of A-list DJ's including Calvin Harris, A-Trak, Tiesto, Sander van Doorn and Afrojack. 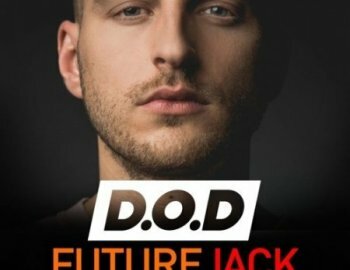 'D.O.D: Future Jack' comes with 665 MB of loops, one-shots, sampler patches, MIDI and synth presets to get the entire dancefloor moving. The collection features a wealth of loops and one-shot sounds including drums, bass and melodic content, basically everything you need to create full Future Jack productions. Expect to hear of pumping basses, laser sharp synths and plenty of jacked–up beats. No one knows this genre better than D.O.D as he basically invented it, so now is your chance to sample it direct from the master.